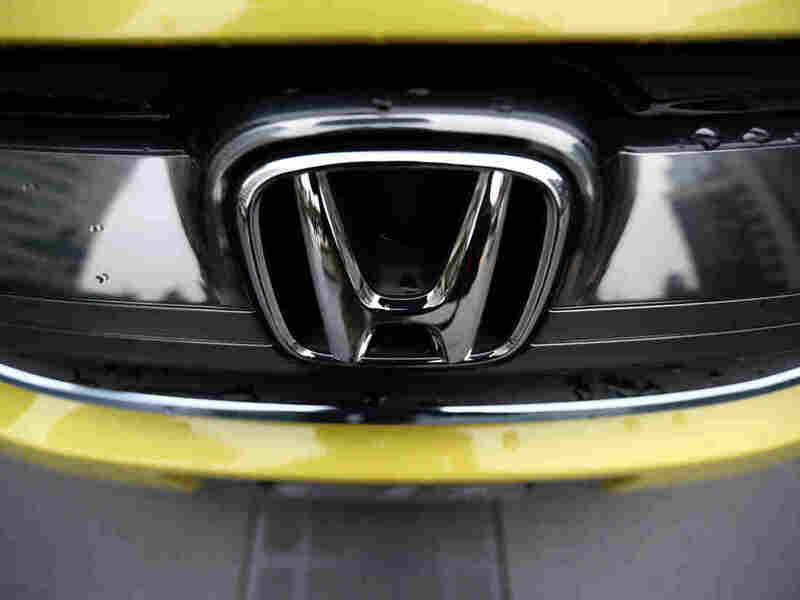 Honda Recalls More Than 1 Million Cars With Defective Takata Air Bags The defective air bag inflators are supplied by Takata, an auto parts maker that is already part of the largest automotive recall in U.S. history. Honda has recalled more than 1 million vehicles with a dangerous air bag inflator supplied by the auto parts maker Takata. The car company announced the recall of about 1.1 million vehicles on Tuesday, marking the latest in a series of recalls linked to Takata, the company that supplies the air bag inflator. Takata is already part of the largest automotive recall in U.S. history. About 37 million vehicles containing 50 million of the company's defective air bags are part of that recall, according to the U.S. National Highway Traffic Safety Administration. The regulatory agency says it has confirmed that 15 people in the United States have been killed by faulty air bag inflators from Takata, and at least 250 people have allegedly been injured. In 2017, Takata agreed to pay $1 billion in a settlement with the U.S. Justice Department for concealing the defect from its customers. Tuesday's recall might not have been necessary if not for Takata's earlier missteps. According to a letter the NHTSA sent to Honda on March 11, some of the air bag inflators the company recalled on Tuesday were originally installed to fix a problem with older inflators that were part of a previous Takata recall. That's why, Honda says, the total number of Honda and Acura vehicles affected by Takata recalls won't change. But the total number of recalled inflators in Honda and Acura cars will rise to about 21 million, according to the company. A timeline submitted to the NHTSA as part of Honda's recall report shows the company launched an investigation into the flawed safety feature in April 2018, after it learned about a crash that had happened a few months earlier. Honda said that the precipitating accident involved a 2004 Honda Odyssey with a replacement inflator that ruptured when the air bag deployed and injured the driver's arm. In its investigation, Honda found that inflators made at a Takata facility in Monclova, Mexico, had "experienced manufacturing process errors that introduced excessive moisture into the inflator during assembly." According to Honda, over time, excess moisture in a sealed inflator can produce a higher than normal pressure when the air bag deploys, causing it to rupture. When that happens, the explosion can cause pieces of metal to pass through the air bag into the car at a high speed, which, according to the safety recall report, "may result in injury or death to vehicle occupants." According to The Associated Press, the NHTSA said in a statement Tuesday it believes the problem has been isolated and that only Honda used the dangerous Takata inflator that was made at the factory in Mexico. The regulatory agency, which still has an open investigation into the defective Takata product, also said not every car that had replacement inflators installed is at risk because the parts came from other manufacturers, according to the AP. Owners of affected vehicles can expect to be notified beginning on or about April 17. Honda said replacement parts from suppliers other than Takata are available to start recall repairs. The company also said it would provide rental cars to owners for free while they get their car fixed or wait for a replacement part.